Quantum has focused on developing Strategic Alliances with other experienced Independent Exploration and Production Companies to establish a highly competent Exploration Team. This Team is currently acquiring significant Lease Acreage in the Haynesville Shale Formation in Northeast Texas and Northwest Louisiana. 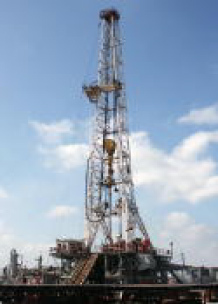 As an example, Quantum has a Strategic Alliance with New Century Exploration, Inc. (www.newcenturyexp.com), to acquire Leases in Texas and Louisiana, to drill and complete wells on such acreage, and to fully develop production rates on these Leases. Utilization of modern horizontal drilling technology, combined with extensive hydraulic fracturing operations, can maximize royalty revenues to the Mineral Owners. Quantum prides itself in maintaining on-going relationships with its Mineral Owners with whom it obtains Leases. Regular and open communications with Mineral Owners are major priorities. Quantum also regularly uses the expertise of NuTech Energy relative to log analysis and interpretation, as well as engineering consulting. NuTech has an outstanding reputation in the Industry, and performs services for many of the large Independents and Majors. Their Website is www.nutechenergy.com. Quantum has recently acquired several deep Wells previously drilled by Humble Oil Company (Exxon), in the Texas Gulf Coast area. The logs and records from each of these wells also indicate production zones that were by-passed and are currently "behind pipe". NuTech has reviewed the applicable logs and production records, and identified some of the pay zones. Attached are a few pictures of one of these Wells recently re-worked and in production. Quantum is presently developing Operational Procedures to re-enter additional Wellbores of the Wells it has acquired, and establish significant production of natural gas and oil. Some of these Operations will involve the deepening of the older Wellbores as well as specific side-track and whipstock operations.